Here at Avon Printing we offer a unique print service to the Jewellery and gift industry when it comes to promoting and packaging your products. With our wide range of jewellery hang tag templates and pillow packs we can help you to create the right look when it comes to selling your masterpieces. 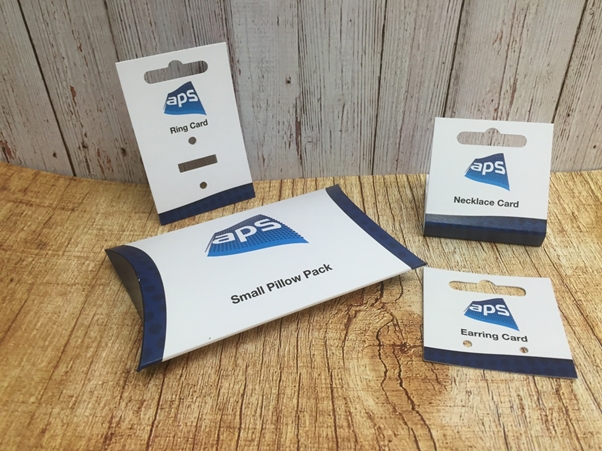 Everything from simple earring cards to bespoke gift pillow packs, printed and manufactured on FSC accredited boards with choice of board colours and finishes.